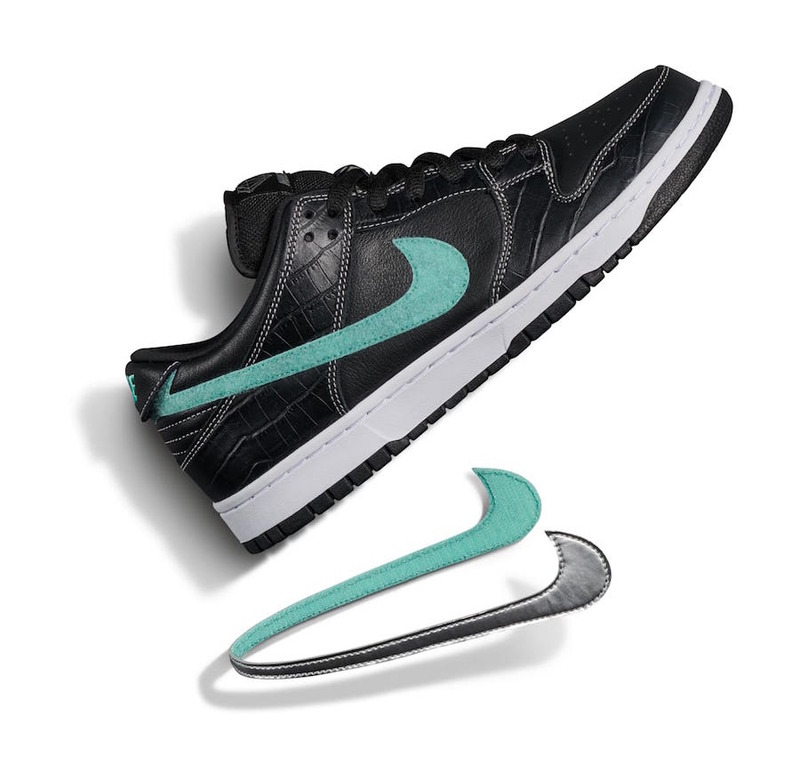 Looking back at previous collaborations, one of the most popular to release was the ‘Tiffany’ edition of the Nike SB Dunk Low which released in August 2005. 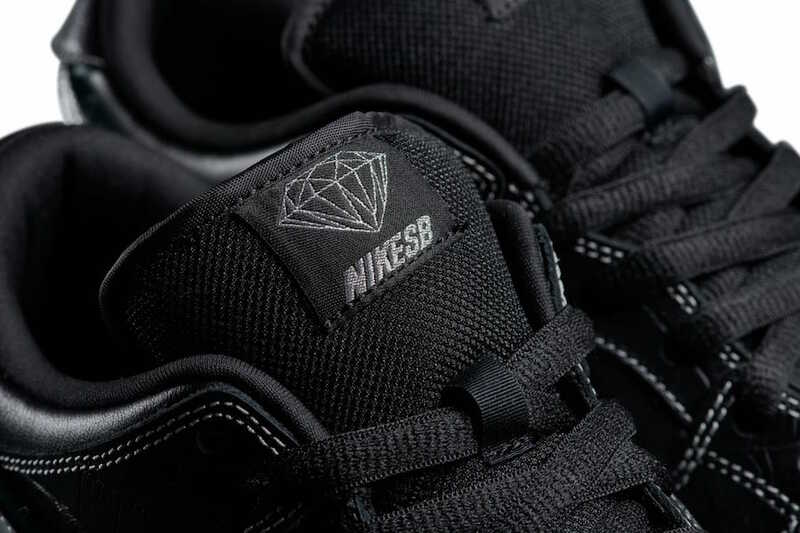 Once again Diamond Supply Co is teaming up with Nike Skateboarding to release a new pair dubbed ‘Black Diamond’. 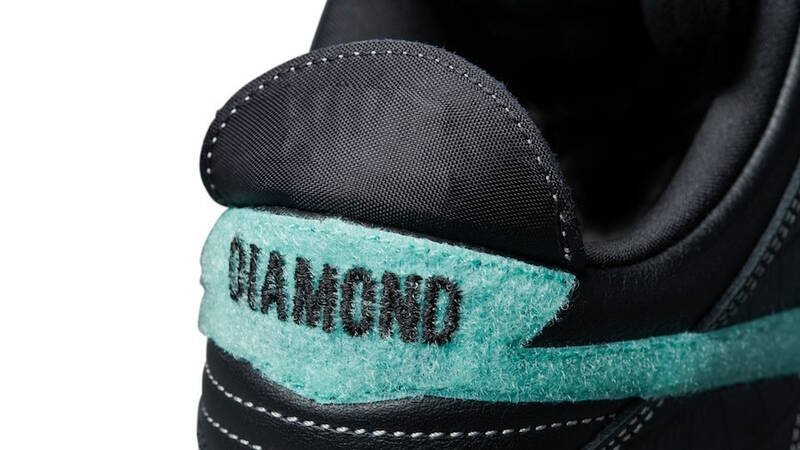 Nicky Diamonds who is the owner of Diamond Supply Co showcased the upcoming collaboration. 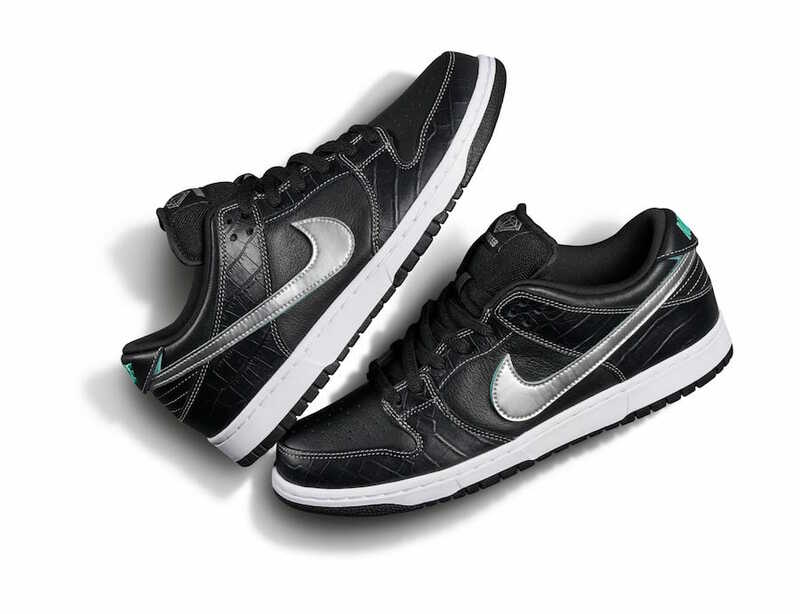 Known as ‘Black Diamond’, this pair features Black premium leather across the upper with croc like patterns. 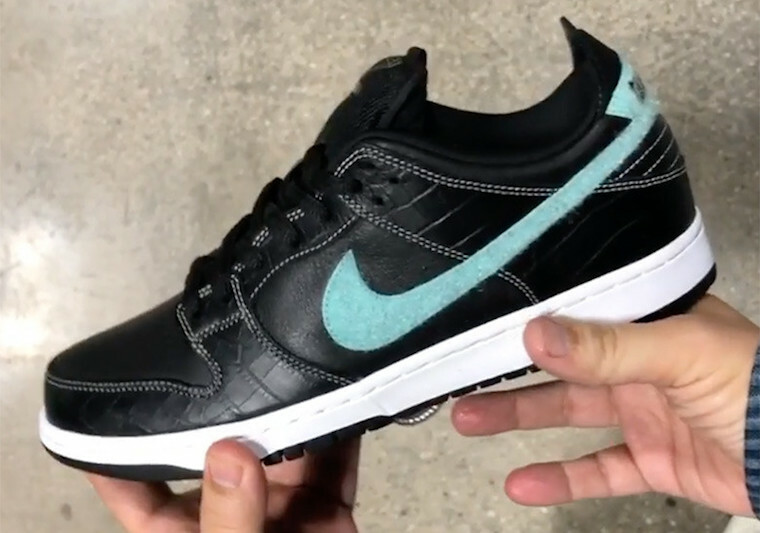 In addition we have a Silver and Aqua detachable velcro Nike Swoosh logo on the panel, hidden ‘Diamond’ branding on the heels, White on the midsole and Black on the outsole which completes the look. 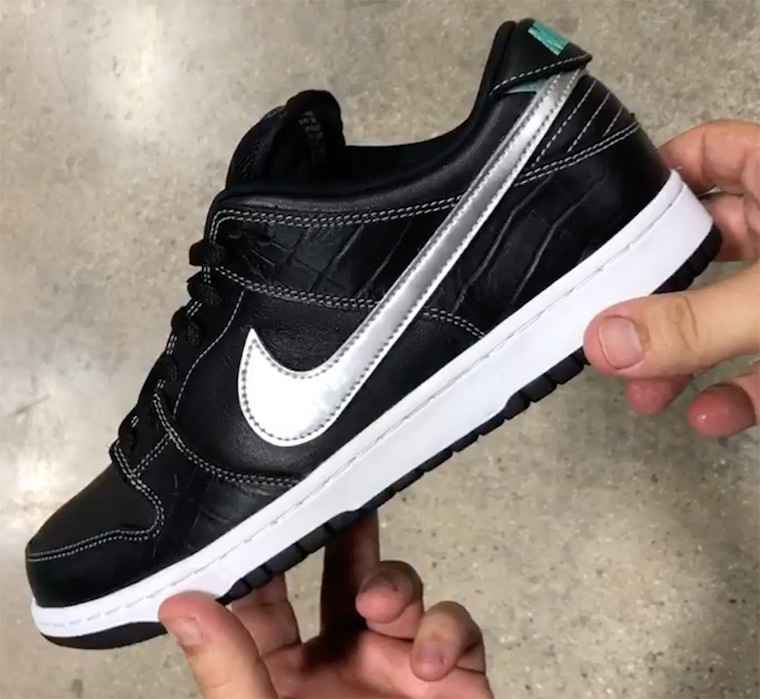 The Nike SB Dunk Low Black Diamond will first release at ComplexCon in Los Angeles. 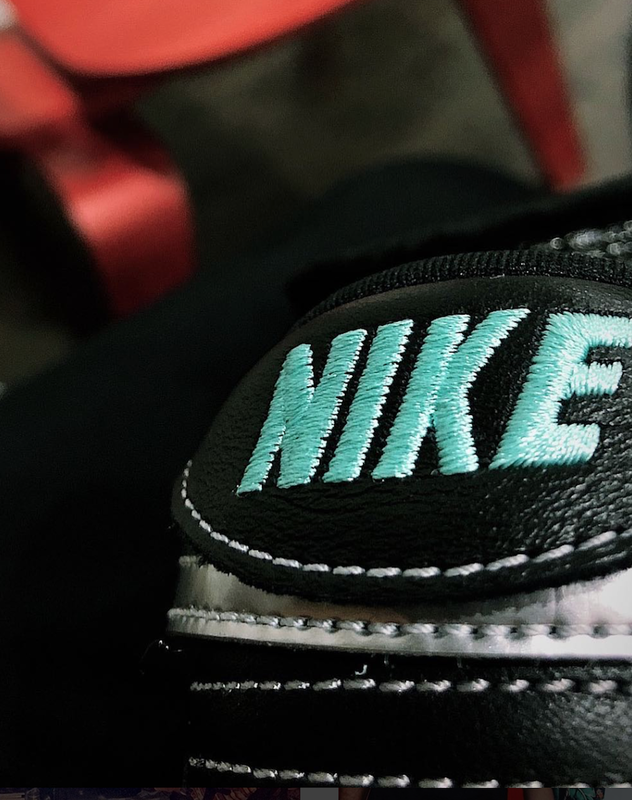 A wider release will take place on November 8th at select Nike Skateboarding retailers and online on Nike SNKRS. Below you can check out a detailed look and make sure to visit us for more updates. 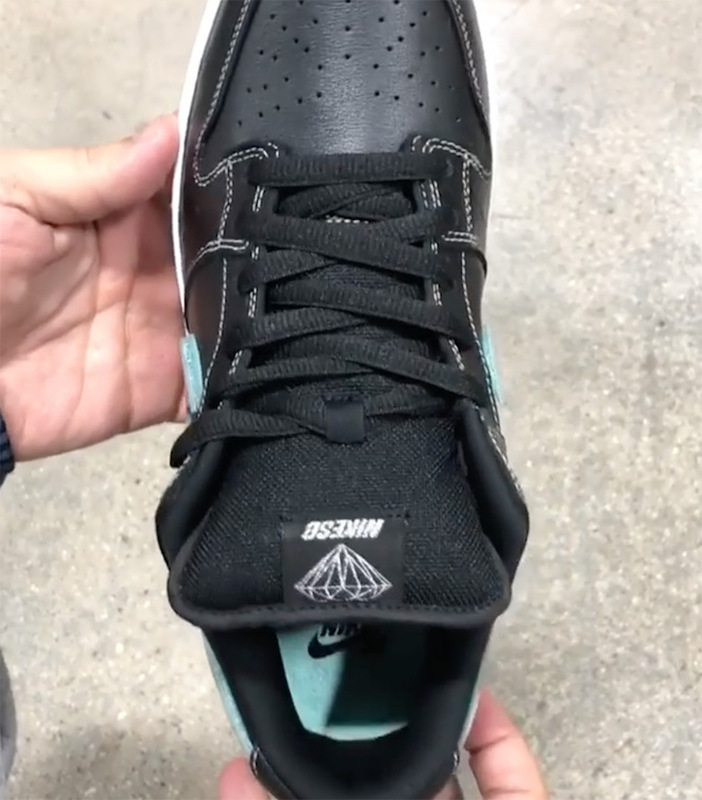 Update: The Diamond Supply Co. x Nike SB Dunk Low ‘Black Diamond’ will first release this weekend at ComplexCon. 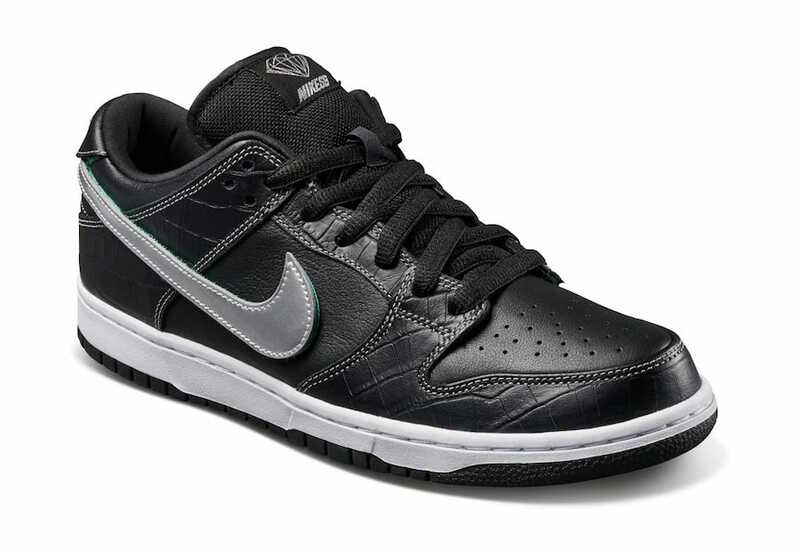 Just like the ‘White’ pair, the ‘Black Diamond’ will be available again on November 8th at a Los Angeles pop-up shop. A wider release will take place on November 8th at select Nike Skateboarding retailers and online on Nike SNKRS. 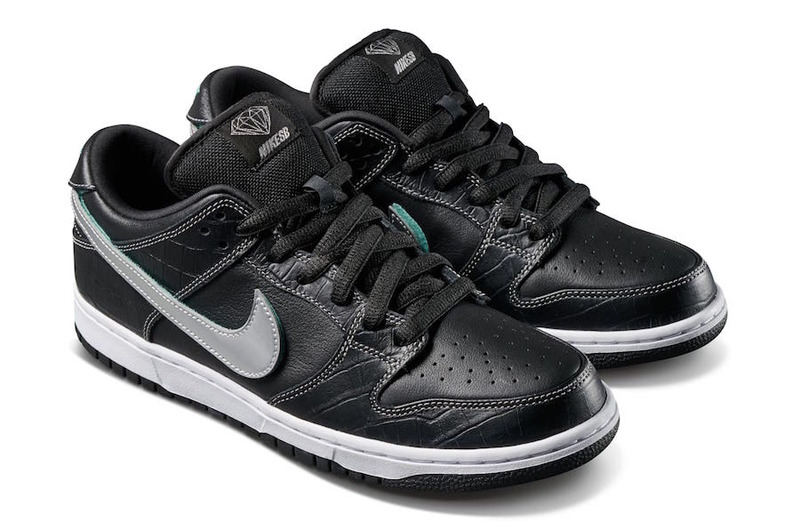 The post Diamond Supply Co. x Nike SB Dunk Low ‘Black Diamond’ Release Info appeared first on SneakerFiles.